Samford University placed 27 student-athletes on the Southern Conference’s fall Academic All-Conference team, released recently by the league. Among Samford’s fall sports, soccer has the most representatives on the team with 10. The football and volleyball teams placed six members each on the team. As a league, the eight football teams led the way with 80 Academic All-Conference selections, while the 10 women’s soccer schools were second with 73 and the nine volleyball programs were third with 48. 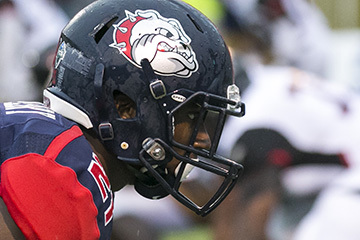 Samford’s 27 student-athletes on the team posted an average grade point average of 3.55. To be eligible for the team, student-athletes must carry at least a 3.3 cumulative GPA entering the fall season and are required to compete in at least one-half of their teams’ competitions during the recently concluded fall campaign. In addition, the student-athletes must have successfully completed at least 24 credit hours in the previous two semesters.